Cold Spring Harbor, NY — At 85, Nobel laureate James D. Watson, the co-discoverer of the double-helix structure of DNA, continues to advance intriguing scientific ideas. His latest, a hypothesis on the causation of type 2 diabetes, appears online February 28th in The Lancet, the prestigious British medical journal. Watson’s hypothesis, which is featured as The Lancet cover story in the U.S. print edition dated March 1-7, 2014, suggests that diabetes, dementias, cardiovascular disease, and some cancers are linked to a failure to generate sufficient biological oxidants, called reactive oxygen species (ROS). Watson also argues the case for a better understanding of the role of exercise in helping to remedy this deficiency. 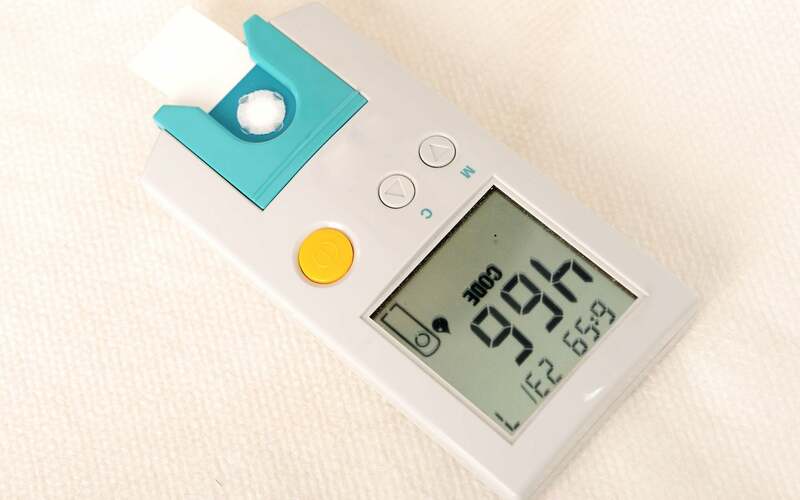 “The prevalent view of type 2 diabetes,” Dr. Watson says, “is that an excess of intracellular oxidation causes inflammation, which in turn kills cells in pancreatic tissue.” Proper function of those cells, it is well understood, is critical for the maintenance of normal blood glucose levels. Over the last several years Watson has been puzzling out an alternative view, based on facts reported in the peer-reviewed literature of medicine and molecular biology. (He makes clear that he is not a medical doctor, rather a student of science.) He does not question that pancreatic tissue in people with type 2 diabetes is indeed inflamed. But he does present a novel theory of why. “The fundamental cause, I suggest, is a lack of biological oxidants, not an excess,” he says. For years, Watson knew, doctors have been telling patients with incipient type 2 diabetes—those with high blood sugar levels—to exercise, often before putting them on a well-proven glucose-lowering drug regimen such as Metformin. Exercise seemed to Watson the key to the puzzle: what was it about exercise that served to benefit people with high blood sugar? There were important clues, he speculated, in the chemistry of oxidation and reduction reactions. The body’s cells cannot survive without making both oxidants and antioxidants. “There is a delicate balance” between the two, Watson observes. Physical exercise prompts the body to make large numbers of oxidants—molecules called reactive oxygen species, or ROS. In a cellular organ called the endoplasmic reticulum (ER), one such “species,” the oxidant hydrogen peroxide (H2O2), helps forge chemical bonds (disulfide bonds) which stabilize proteins as they fold. When there is not enough oxidation in the ER, Watson says, proteins emerge unfolded, and cannot function. This, he proposes, causes the inflammation that harms the pancreas, sometimes causing type 2 diabetes. Hence, Watson suggests, exercise, which promotes oxidation, plausibly can have a beneficial effect on those with high blood sugar. Such benefit would be lessened if not abolished, he speculates, if such an individual consumed large quantities of antioxidants—just as athletes who take large quantities of antioxidant supplements do not seem to benefit or benefit less from their exertions. Watson has two take-home messages for his audience. “The first is that we sorely need to take a much more serious and thorough scientific look at the mechanisms through which exercise improves our health.” Watson is planning a scientific meeting at Cold Spring Harbor Laboratory later this year which he hopes will launch a larger scientific effort. 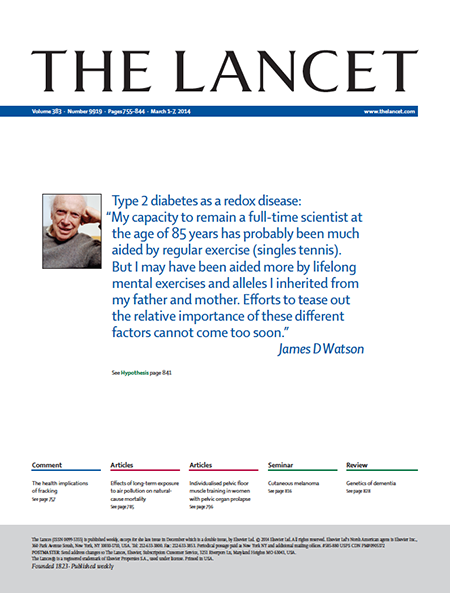 “Hypothesis: Type 2 diabetes as a redox disease” by James D. Watson appears online ahead of print in The Lancet on Thursday, February 27, 2014 at 7 pm ET in the U.S.